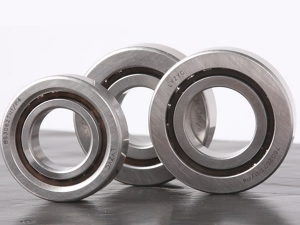 The ring material uses X-life Cronidur30 high nitrogen stainless steel and special heat treatment process and cold treatment process; Rolling elements are either ceramic rollers, or ceramic balls that have been put through a process known as hot isostatic pressing. 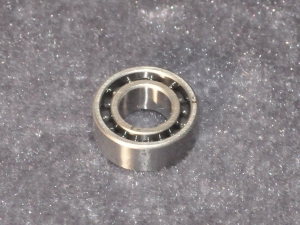 Angular contact full complement ball bearings come without retainers. 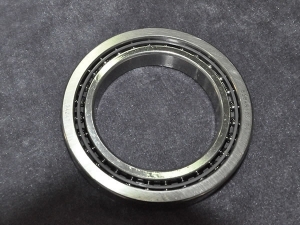 Angular contact ball bearings, four point contact ball bearings and cylindrical roller bearings have retainers made from silver-plated high-strength alloy steel; The precision grade is P2P4; The lubrication method is aviation kerosene jet; The highest temperature resistance is 450ºС. 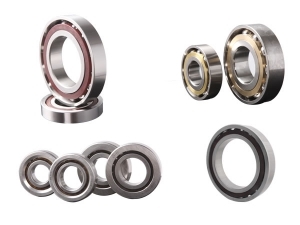 We have provided nearly 100 types of bearings for China Aerospace Science and Technology Corporation and Institute of Engineering Thermophysics, etc. ; The products are used in Shenzhou, Chang’e, Yutu and other aerospace equipment and a variety of sophisticated military equipment. The representative models include: HKSV788(8*16*6), HKSV708(8*22*7), HKSV7000(10*26*8), HKSV7001, HKSV7002, HKSV7004, HKSV71904, etc. The company has ability to undertake various turbojet and turbofan bearings with inner diameter of ¢ 8- ¢ 400mm and other high-speed high-temperature bearings.